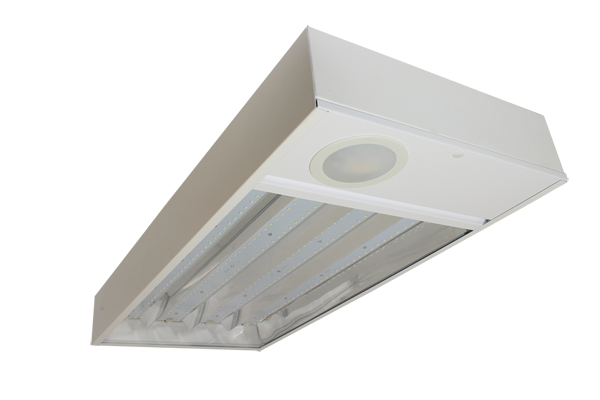 Our 80W and 120W Lowbays are also supplied with a corridor function viable for replacement to conventional Lowbay Light Fittings. Designed to illuminate your application with an automatic movement detector, increasing the luminous intensity when movement is detected and reducing once movement has left from zero or a preset low level. Our 220~240Vac range is designed with a remote to control your functions for dimming and the luminous output, users may choose between using pre-programmed lighting profiles for everyday use, and also programming light levels and sequences individually. Our 220~240Vac range of Lowbay LEDs now come with various innovative Corridor Function to allow even easier control without the need of a remote. The 80W and 120W Lowbays activate themselves with a motion detector emitting high frequency electro-magnetic waves received from echoes. Also featuring a smart sensor which only activates and deactivates light when movement is detected and if there isn’t enough sufficient light to provide within your environment. With the control of adjusting its own brightness level, our energy efficient functions increase its luminous intensity when a person enters the room. Users may choose between using pre-programmed lighting profiles, and programming light levels for individual sequences as well. If you have the desire for an automated function, the Lowbays will ensure maximum levels of performance and reliability when activated. With the energy efficient and eco friendly approach, the overall fitting will provide you with an effective performance to create difference scenarios around movement. With an IP20 rating they are suitable for replacing conventional Lowbay lighting fixtures in commercial and industrial environments.